So far, my first week on the World Cup has been an awesome experience. Pyeongchang is making history with this first Biathlon World Cup held in Korea and the newly built venue. I am making history for myself too, as this will be my first World Cup start of my career. And it will officially begin Sunday night at 7pm (5 am early Sunday morning for those of you in Maine) as I lead off the first leg of the Mixed Relay. I will race my 6km race and tag off to teammate, Caitlin Compton, who will then tag off to one of our guys. All together, two women and two men from each team go head to head Sunday night to see who is the best team here. Since I was not racing in the Sprint, I definitely went out to watch and to get a different feel for the first Biathlon World Cup in Korea. Here is a photo of the leader board and the big screen. The not so good photo of the screen is of the German Magdalena Neuner, who was the winner of the Sprint race. A French woman was second and an Italian third. This is the crest of one of the first major hills that brutally define this course. Each 2.5km loop takes me on average 6:30 to 7 minutes at a conservative Race pace. Neuner, shown here in the forefront, skied it in 5 minutes. On this difficult course it was impressive to watch some of the best women ski technically well, very strong and very smooth. Ski technique when done right has a certain rhythm to it. It is that rhythmic movement and certain body positions that create your speed and carry your momentum that enable you to climb up and over these hills. Do you remember the diagonal striding drill we did? Before you all thought you had slow skis. It was not until you moved your body in the right way did you find your skis were actually quite fast. I am trying to do the same thing with the skate technique. 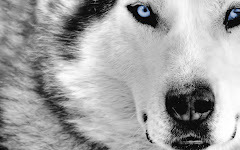 Check out the video that I also uploaded on this site. Tomorrow night is the Women's Pursuit and I will definitely be out to watch, cheer and take some more photos. So - there is more to come! All of the staff and athletes of the World Cup are being staying at YongPyong, a "Four Season Resort" at the base of a ski mountain. To find our selves in a very westernized setting with its huge hotels, buzzing ski hill and even a Starbucks coffee shop made being in Korea even more surreal. I took these photos our first morning there. After 26 hours of traveling in vans, planes, waiting in airports and even on a runway in the middle of Russia (lots of people wearing fur hats and it looked quite cold!) to refuel I got into bed at 1:30am and wasn't quite sure what I would wake up to. South Korea is an 8 hour time change ahead from Europe, 14 hour time change from Sinclair, ME and 16 hour time change from the Colorado Rockies. Basically, I end my day when you begin yours. I am very focused on racing and training this week, so keep my daily routine of training, recovery, eating, stretching, evaluation, and racing. But I have let myself take off the "blinders" and mingled within the ski resort shops, slopes and Buddhist sites a few times to get a better feel for Korea. Greenpia - the hotel suites that we are staying in. At the base of the mountain. Notice that there is also English on the signs. Check out all those kids on the trail. On these lower slopes you could see a lot of young and beginner skiers. Out of view from this photo are some pretty steep and long ski trails. Here is a Buddhist pagoda, or place of worship. This building was actually used in a famous Korean film and brought here to YongPyong to continue to honor its importance and presence. Coincidentally, I have seen this film, "Spring, Summer, Fall, Winter" and felt it odd to stand on the steps of this monk's home that I first saw in a film. Here is a photo of one of the panels of the pagoda. The winter lotus symbolizes the winter season and is the fourth quadrant of the wall. Next to and below are spring, summer and fall lotuses, hence the name of the film. Here is another pagoda tucked away up in the hillside. The area had a quiet, but well kept presence. The pathways were well swept and cleared, and what snow the sun didn't melt was swept from the Buddhist monuments and step stones. This sanctuary was a nice contrast to the busy resort below. Here is a close up of the detail of the roof line. The colors, designs and carvings are beautiful. There is a dominating floral theme, especially with the presence of the lotus which is an overarching Buddhist symbol. The blooming of the petals is a metaphor for life, birth and renewal present in the spiritual purity of Buddhism. The lotus however is not solely defined by that, but rather has a multitude of meanings within the Buddhist, Hindu and Jain religions and varies even more with regions and cultures. And here it appears again on the top of this monument up on the hillside. Here is another look of the Hangul, the Korean language. From what I can tell, unlike Japanese or Chinese, Hangul is read and written from left to right as well as from top to bottom. Hangul is the native alphabet of North and South Korea, with 24 letters, 10 vowels and 14 consonants. A lot more research is needed to better define this language, so I will save that for another time. As a native English speaker, Asian languages come with a certain mysticism and allure precisely because we don't know what it all means or sounds like. Finding such Buddhist elements juxtaposed to the westernized and modern ski resort and biathlon venue is more common than I realize. People have been living here a long time. The mix of the historical elements in everyday life defines not only the depth of the roots of religion and culture but it also highlights the technological and modern advancements this country is known for. This is some footage of Sandrine Bailley of France in the Sprint race tonight. She was second in the race tonight. I was not chosen to race, so came out to watch instead. Watching some of the best in the world ski this very tough course was very good to ski and inspiring for my next go at it this weekend. 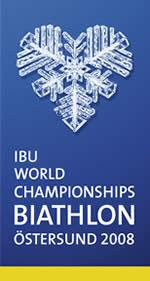 I will race on Saturday and will be the first leg on the Mixed Relay on Sunday. Departures. I always like to check out this Departures billboard at the Munich airport when I fly. All the places you could go...London, Budapest, Istanbul.... This time my ticket is to Korea. The whole Biathlon World Cup circuit will fly on a Charter flight - a plane especially for us - to the remaining World Cups. I found this map below to give you a better idea of where I am going. Right now, I too think it just looks like a map and I can only imagine Korea to look like a dense rainforest. Monday morning when I wake up, that is all going to change. I am not sure what my internet access will be the next few weeks, but I will contact you as soon as I can. Definitely sending a postcard from Korea. Gosh, what a way that card has to travel to get to you. Which way around the world will it go? Give some of those words a try! So, what are you all up to mid-April? I am planning a trip up to the County and would like to visit your class again. I will be in contact with Mrs. Lugdon so we can plan a day. See yah soon! During training days, when it wasn't so busy there were a lot of school kids around. These three were daring enough to venture into the wax cabin area to ask for our autographs. They were too shy to speak English (even though it is better than my Swedish) so I stepped up to talk to them and to sign their hands and Swedish flags. There is a school near where I am staying and plasterd in a lot of the windows were hand-made flags of some of the competing countries. It didn't see an American one, but thats okay. Next time. Mixed in with the flags were heart snowflakes, like the competition's logo. Do you know how to make those types of snowflakes? Start with any square piece of paper. *If you are using a standard sheet of paper, take a bottom corner and diagonal fold it across to the opposite side of the page. Cut off the 2.5 inch strip at the top of the page to create an 8.5 x 8.5 sheet of paper. Fold it in half. Fold it in half again creating a smaller square. One corner will be all folds, the other three corners will have some open edges. Finding the fold corner is key to making a snowflake. Turn the paper so that the fold corner is at the bottom. Fold the corner on the right side over to the left side. You should now have a long, triangular paper, with the fold corner still at the bottom. Depending on the thickness of the paper, and the children's skill with scissors, now may be when you start cutting out the snowflakes. Older children can continue folding the sides together to get narrower pieces of paper. Cut off the tip opposite the fold corner. It can be point or rounded depending on the shape you want for your snowflake points. Continue cutting out bits of the snowflake, but be sure to keep intact enough of the fold lines running out from the fold corner. Open up your snowflake when you are finished cutting. *Use glitter glue to decorate it if you want. And here is another idea I came across. Round coffee filters are easiest for the younger children. Any shape works with older kids. Color with markers. Any shapes, any design, any amount. Plan to experiment with the first ones until the children can see how they turn out. When finished coloring, move the snowflakes onto newspaper and spray with water. The children can flick drops of water on them, ring a wet wash cloth over them, anything to get water onto the colored filters. They dry fast and are very sturdy-they don't fall apart. Fold at least three times, and then cut out shapes for the snowflake. "Kalla Nasa, Varm Hjart" Cold Nose, Warm Heart was the slogan for this year's Biathlon World Championships held in the proud northern city of Ostersund, Sweden. Hello! This is the final day and I will race in the Women's Relay this afternoon. I will be the third leg of the relay, after Tracy and Lanny Barnes and will hand off to Caitlin Compton. There are 21 teams racing today, so we have a great opportunity to do well. Relays are usually everyone's favorite race. Biathlon is so individual; you are always trying to "ski your own rest" and to do your "own best" so that you don't get caught up and distracted. Well, today it is for a team and for the US. Our coaches said it well in that we need one spirit during this race and to all work together to achieve one great result. The racing is going to be incredibly exciting. 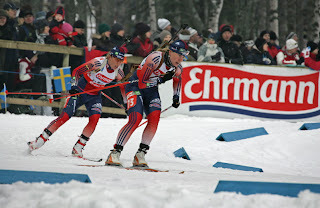 Each leg skis a 6km race with two shooting stages, prone then standing. However, today, we get three extra rounds. In case we miss, we have extra bullets to try to hit the targets and to keep up with our competitors (or to move ahead!). This is the perfect race to end on because of these added elements of motivation - more teammates and more bullets:). The US Biathlon Team during an interview. Lowell, with the guitar, wrote a theme song for out team that we are "trying" to perform here. This week has been awesome and I am so happy to be here. I have had some amazing experiences! To race with the world's best biathletes has been a great opportunity to learn where how much faster I need to ski and how much better I will need to shoot in order to be world class. I am excited to make it to this new level, now I must re-work my training and my goals so that I can perform well at this high level in the future. You have got to get one of these sparks. One of the coolest things about living in a northern climate. They are basically wooden chairs on long steel runners. It was nice to have my Dad here becuase it gave us the opportunity to see more of Ostersund, the city we were staying in. It is a beautiful northern city with walking, bike and ski trails all over the place. The city is on a large lake, skating and skiing on the lake is quite popular too. The Swedes were very proud to host the World! And it was a joy to be able to talk to some of them - in Swedish - about it. This is "Birger" the competition's mascot. Legend has it that he is the sea monster that lives in the lake next to Ostersund. I will bring you a book all about! Yesterday I watched on of the races, the Women's Mass Start. Briger and I were one of 27,000 people!!! There were sooooo many people all over the places. The packed into the woods, in the stadium, in the stands, and along the trail! And when they moved to be able to follow the lead racers through the pack it was like a snowstorm of people through the woods. And their cheers were fantastic. I was out on the course, but I could hear and feel the cheering energy through the forest. Everyone was quite excited and happy to be there too. I am on the final turn towards the finish here. You can see the stands of people behind me. This a view of the stadium start area, I am actually the person you can barely see underneath the orange. On the right there is the big screen showing one of the Swedish biathlets shooting. Further to the right is the shooting range. Oh, and the big Norwegian flag in the middle of course. This is my teammate Lanny Barnes and I. We started at different times, but were close enough to ski with eachother part of the way. Go USA! Next, I will fly to Germany to train for a week. The on February 23 I will fly to Korea. Thanks for following! I hear there is lots of snow in the County - hope your winter has been great!